The ergonomic chair that fits you and your budget! 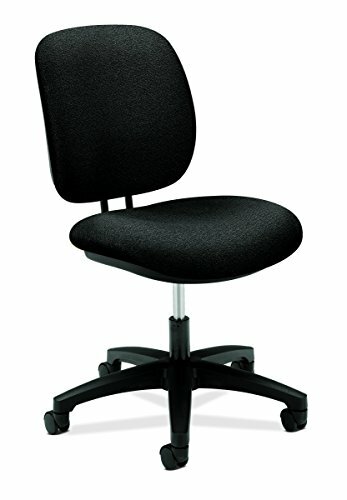 Pneumatic seat height adjustment, 360° swivel, adjustable back height, strong lumbar support and oversized cushions. Upholstery has stain-resistant protection. Black steel base and frame. Meets or exceeds ANSI/BIFMA standards. Seat depth adjusts to longer or shorter leg lengths. Optional Arms sold and shipped separately. Chair Type: Rolling Chair; Folding/Stacking: N\A; Width: N\A; Depth: N\A.